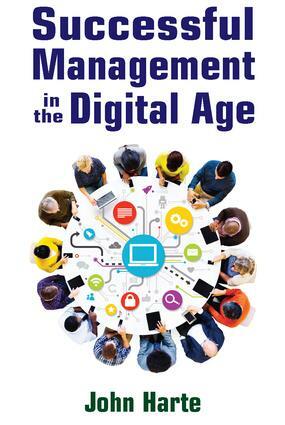 Successful Management in the Digital Age examines key factors for success in today's business environment�finding markets, being vigilant for new trends and changes, exploiting opportunities, and overcoming obstacles. While acknowledging the benefits of technological advances in some areas, John Harte shows how artificial intelligence is limited and often imperfect. Becoming thoughtlessly dependent on it may replace the far more rewarding benefits of human ingenuity, creativity and innovation.For Harte, organizational complacency is one of the prime causes of business inertia. It often results from past successes that create an illusion of wisdom and invulnerability which blinds leaders to warning signs. De-industrialization is just one example of a movement that led to the present market stagnation.Harte reminds executives and entrepreneurs of the basic formula for success in any business�producing a product or service that people want, and providing it at the right time for the right price, in order to make a suitable profit. He warns us to resist temptations of the digital era, such as automation that results in over-production and market saturation, outsourcing that risks losing customers, and losing control of brands and markets by needless offshoring.